A common depiction of the kijimuna. 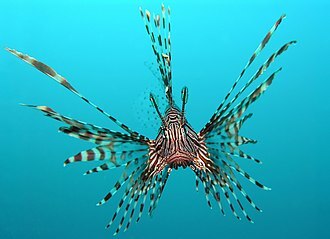 The Kijimuna (Okinawan: キジムナー, kijimunaa, also kijimun 木の精), or Bunagaya, are creatures of the mythology native to the island of Okinawa. They are said to look around three or four years old and have red hair. The kijimuna are small wood spirits according to Okinawan mythology. The kijimuna are said to live in trees, but the most common one is the banyan tree. They are often described as being child-sized, with red hair covering their bodies and large heads. They are also known to be excellent fisherman, able to catch many fish, but then only eating one of the eyes of the fish before leaving the rest of it. The Kijimuna festival in Okinawa is named after them. Another name for the kijumuna is "bungaya," which means roughly "Large-Headed." The Kijimuna are known to be very mischievous, playing pranks and tricking humans. One of their most well known tricks is to lie upon a person's chest, making them unable to move or breathe. This is known as "kanashibari." Even though the Kijimuna are tricksters, they have been known to make friends with humans. However, these relationships often go sour. A kijimuna may offer to carry a human on its back as it leaps through the mountains and over the seas. The kijimuna dislike people passing gas on their backs, however, and will immediately throw the human off, no matter where they were at the moment. The kijimuna also hate octopuses. The kijimuna are a common subject in Okinawan folk tales. Many of their stories begin with the kijimuna becoming a human's friend and then ending with the relationship going bad. One story tells of a kijimuna's friend burning down his tree, so the kijimuna fled to the mountains. A banyan, spelled banian, is a fig that begins its life as an epiphyte, i. e. A plant that grows on plant, when its seed germinates in a crack or crevice of a host tree or human edifice. Like other fig species, including the edible fig Ficus carica. The syncarp of Ficus species supplies shelter and food for fig wasps and, in turn, frugivore birds disperse the seeds of banyans. The seeds are small, and because most banyans grow in woodlands, for this reason banyans bear the colloquial name strangler fig. 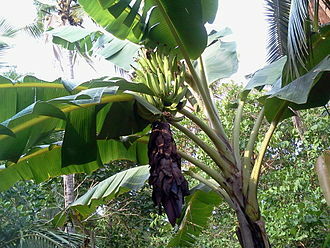 A number of tropical species that compete for sunlight, especially of the genus Ficus. 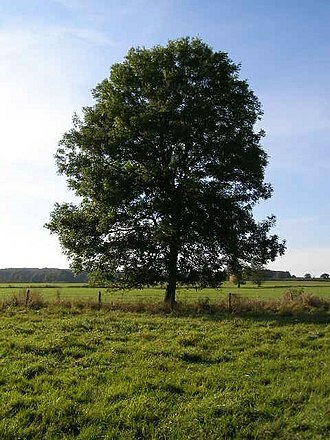 The leaves of the tree are large, glossy, green. Like most figs, the bud is covered by two large scales. As the leaf develops the scales abscise, young leaves have an attractive reddish tinge. Older banyan trees are characterized by aerial roots that mature into thick, woody trunks. 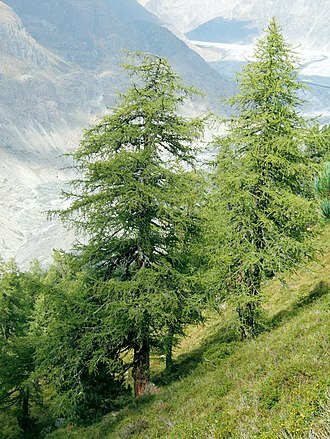 Old trees can spread laterally by using these prop roots to grow over a wide area, in some species, the prop roots develop over a considerable area that resembles a grove of trees, with every trunk connected directly or indirectly to the primary trunk. The topology of this root system inspired the name of the hierarchical computer network operating system Banyan VINES. In a banyan that envelops its host tree, the mesh of roots growing around the latter eventually applies considerable pressure to, such an enveloped, dead tree eventually decomposes, so that the banyan becomes a columnar tree with a hollow, central core. In jungles, such hollows are very desirable shelters to many animals, the name was originally given to F. benghalensis and comes from India, where early travellers observed that the shade of the tree was frequented by banias or Indian traders. In the Gujarati language, banya means grocer or merchant, not tree, the Portuguese picked up the word to refer specifically to Hindu merchants, and passed it along to the English as early as 1599 with the same meaning. By 1634, English writers began to tell of the banyan tree, the tree provided a shaded place for a village meeting or for merchants to sell their goods. Eventually, banyan became the name of the tree itself, the original banyan, F. benghalensis, can grow into a giant tree covering several hectares. Bunbuku Chagama is a Japanese folktale about a raccoon dog, or tanuki, that uses its shapeshifting powers to reward its rescuer for his kindness. Bunbuku Chagama roughly translates to happiness bubbling over like a tea pot, the story tells of a poor man who finds a tanuki caught in a trap. Feeling sorry for the animal, he sets it free and that night, the tanuki comes to the poor mans house to thank him for his kindness. The tanuki transforms itself into a chagama and tells the man to him for money. The man sells the tanuki-teapot to a monk, who takes it home and, after scrubbing it harshly, unable to stand the heat, the tanuki teapot sprouts legs and, in its half-transformed state, makes a run for it. The tanuki returns to the man with another idea. The man would set up a roadside attraction and charge admission for people to see a teapot walking a tightrope. The plan works, and each gains something good from the man is no longer poor. In a variant of the story, the tanuki-teapot does not run, the shocked monk decides to leave the teapot as an offering to the poor temple where he lives, choosing not to use it for making tea again. The Awa Tanuki Gassen is a Japanese legend that takes place in the Awa Province. The legend is about a war between two tanuki powers. There are several tales about tanuki in Shikkoku, and this one is said to be the most famous among all of the ones in Tokushima. This story was first seen to appear near the end of the Edo Period and it took place around the tenpō period near Higaino in Komatsushima. A dyer named Moemon running the shop called Yamatoya saved a tanuki who was being bullied by people. Eventually, the tanuki came to serve as the angel of Mankichi, who worked at the shop. This tanuki was called Kinchō and was a chief around 206 years in age. While around Mankichi, Kinchō performed great services such as cure customers diseases perform divinations, after much training, Kinchō displayed great accomplishedments and almost achieved the rank of Senior First Rank. Rokuemon, loathe to let go of Kinchō, tried to make him stay as a son in law by marrying his daughter, Kinchō felt obliged to return to Moemon, and furthermore disliked Rokuemons cruel personality, so he refused. Unsatisfied with this, Rokuemon thought that Kinchō would eventually become his enemy, Kinchō, together with a tanuki that came from Higaino named Fuji no Kidera no Taka, counterattacked. However, Taka died in battle, and only Kinchō was able to escape to Higaino, Kinchō attempted to recruit followers in order to take revenge for Taka, and started a battle with Rokuemon and his followers. In this battle, Kinchōs army won and Rokuemon was bitten to death, around the time of this battle, it was rumored that Kinchōs army was gathering at the Chinju Forest in prepration for battle against Rokuemon. The exact story varies depending on the source, which is seen to be the result of being influenced by a certain kōdan. She was greatly in love with Kinchō, and criticized Rokuemon for trying to attack Kinchō, Koyasuhimes death only increased Rokuemons hatred. Also, Kinchō, upon hearing the death of Koyasu who loved him, the battle took place around Katsuura River, Kinchōs and Rokuemons army were both more than 600 tanuki, and the battle lasted for 3 days and nights. Ashinaga-tenaga are a pair of yōkai in Japanese folklore. One, Ashinaga-jin, has long legs, while the other. 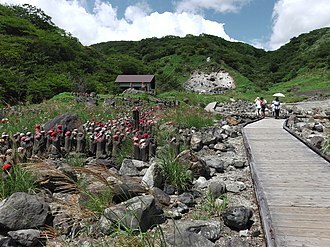 They were first described in the Japanese encyclopedia Wakan Sansai Zue and they are said to be found in Kyūshū. The pair is described as people from two countries, the Long-legged Country, and the Long-armed Country. As the names suggest, the inhabitants of two countries possess unusually lengthy arms and legs. 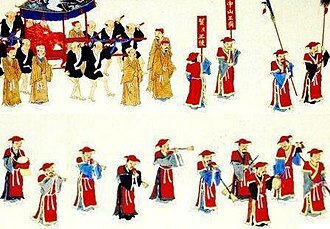 The two work together as a team to catch fish by the seashore, in order to do this, the long-armed man, climbs onto the back of the long-legged man, ashinaga. The ashinaga wades out into the shorewaters, staying above water with his long legs, according to the Wakan Sansai Zue, the tenaga is known as chōhi, and his arms can reach three jō in length, or a bit over nine meters. The ashinagas legs stretch to two jō, or just slightly over six meters, an essay from the Kasshiyawa by Matsura Seizan describes the ashinaga. The essay documents a mans anecdotal account of an encounter with a strange being. My Lord Bag of Rice is a fairy tale about a hero who kills the giant centipede Seta to help a Japanese dragon princess, and is rewarded in her underwater Ryūgū-jō 龍宮城 dragon palace castle. The 1711 Honchō kwaidan koji 本朝怪談故事 contains the version of this Japanese myth about the warrior Fujiwara no Hidesato. There is a Shinto shrine near the Seta Bridge at Lake Biwa where people worship Tawara Tōda 俵藤太 Rice-bag Tōda, in olden times, when Fujiwara no Hidesato crossed the bridge, a big serpent lay across it. The hero, was not at all afraid, and calmly stepped over the monster which at once disappeared into the water, two thousand years, she said, she had lived under this bridge, but never had she seen such a brave man as he. For this reason she requested him to destroy her enemy, a giant centipede, Hidesato promised her to do so and, armed with a bow and arrows, awaited the centipede on the bridge. There came from the top of Mt. Mikami two enormous lights, as big as the light of two hundred torches and these were the centipedes eyes, and Hidesato sent three arrows in that direction, whereupon the lights were extinguished and the monster died. Emperor Antoku's grandmother rescuing him from a dragon, by Yoshitsuya Ichieisai. "The Bakeneko of the Sasakibara Family" (榊原家の化け猫) from the Buson Yōkai Emaki by Yosa Buson. It depicts a cat in Nagoya that would wear a napkin on its head and dance. In this book, it states that "every night, nekomata (猫また) would go out and dance", and unlike the nekomata which has two tails, this cat has only one tail. Kawanabe Kyōsai's "Boatman and Funayūrei". 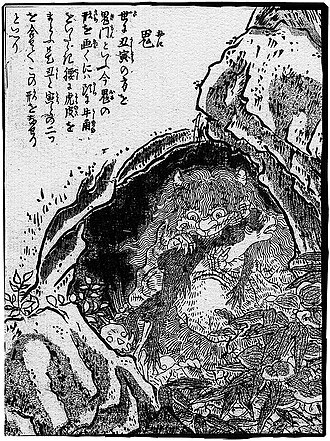 An example of a funayūrei rendered as an umibōzu-like yokai. An example of a funayūrei appearing as mysterious flames. From the Tosa Bakemono Ehon. Tsukioka Yoshitoshi, The Lonely House, September 1885. 9" by 28". 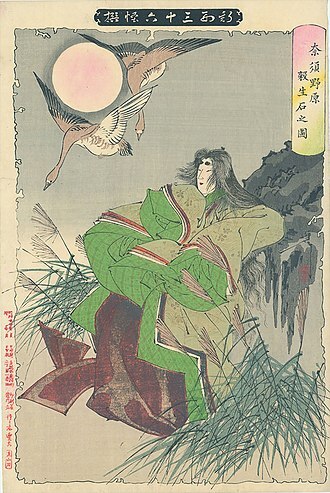 The print depicts the Hag of Adachi Moor, who was said to drink the blood of unborn children. 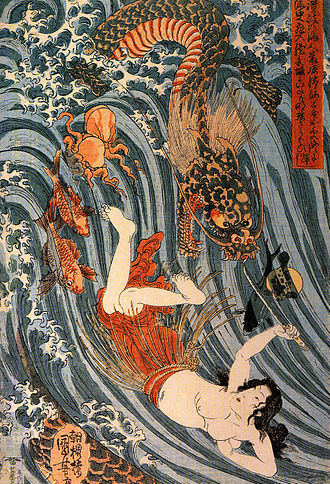 A young Kintarō battling a giant carp, in a print by Yoshitoshi. Kintarō holding a carp with an axe (Masakari). Furaribi (ふらり火) from Bakemono no e (化物之繪, c. 1700), Harry F. Bruning Collection of Japanese Books and Manuscripts, L. Tom Perry Special Collections, Harold B. Lee Library, Brigham Young University. The crab's children seek revenge with the help of an usu, a snake, a bee, arame (kelp), and a kitchen knife. Illustration of Bunbuku Chagama by Tsukioka Yoshitoshi, 1889-1892. The Dragon Princess and Fujiwara no Hidesato, Utagawa Kuniyoshi 1845. Fujiwara no Hidesato shooting the giant centipede, Tsukioka Yoshitoshi 1890. Statue illustrating the story of Kachi-kachi Yama at Tenjō-Yama Park Mt. Kachi Kachi Ropeway. An amabie. Wood-block print, late Edo period. Hakuzōsu. The moment the creature is in the process of transforming from the priest into the wild fox. Woodblock print by Tsukioka Yoshitoshi.